Do you have at least $1,000 available that you could use in case of an emergency? Having an emergency fund is one of the most important milestones as you improve your financial situation. 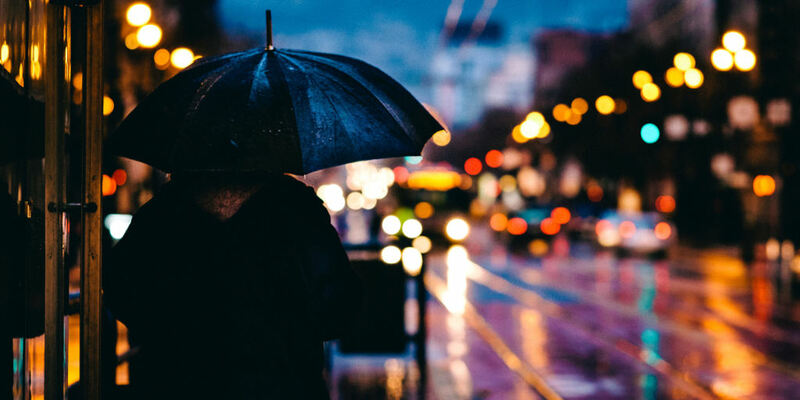 In this post, Bonnie from Merlot & Money shares why it’s important to save for a rainy day even if you’re still struggling to make ends meet and offers a few strategies that can help make this goal a reality. Being broke is the worst. It feels like your life is in limbo, and every time you start to make progress, something sends you spiraling back down until you’re back at square one. Believe it or not, the best thing you can do to help yourself is to build up an emergency fund. 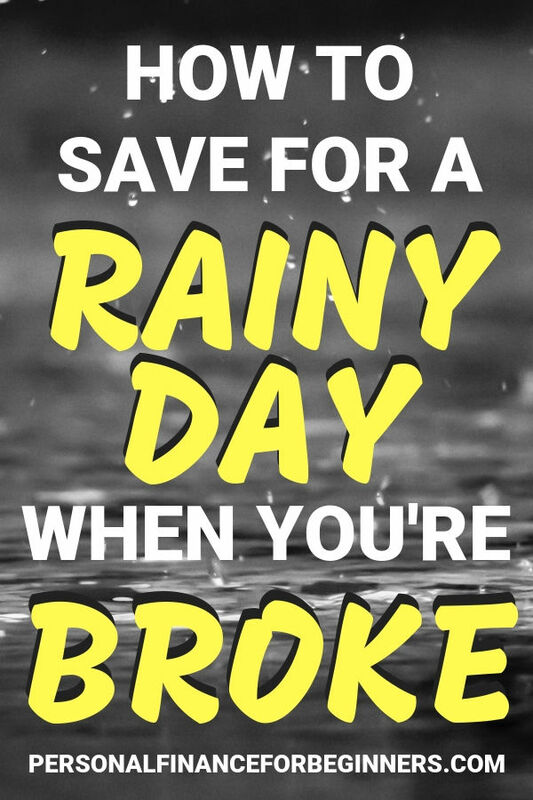 Yes, you can still save for a rainy day when you’re broke! According to a 2018 Bankrate survey, nearly one in four Americans has no emergency savings whatsoever. That means one in four Americans will have a true emergency on their hands if anything unexpected happens. A broken down car, a trip to the hospital, a funeral for a loved one. All of these things happen when we least expect it, and everyone needs to be prepared. If your account balance frequently falls below $100, you know that any surprise can be a crisis. Usually, this crisis leads to borrowing. Borrowing from friends, borrowing from family, or borrowing from a credit provider. Either way, this crisis usually leads you even deeper into debt, and then you feel even more suffocated by your lack of money. Although it may seem counterintuitive to build up an emergency fund instead of putting your money toward other avenues, like debt payments, it can actually save you. If you can put that extra $100, $200, or $300 into a separate emergency fund each month, you can eventually build a cushion so that the next blow doesn’t hurt quite so badly. Imagine this: Your car didn’t start this morning. It’s yet another money blow that you really can’t handle right now. You start to panic, but then you remember that you have an emergency fund exactly for this situation. You relax a little. You’re going to be just fine. No blow to your account. Your car is going to make it, and so are you. This exact situation happened to my husband and I just after we finished building our emergency fund and making progress on our debt payments. One car was in the shop and needed $700 worth of repairs. One week later, the other car needed to go to the shop. But, for the first time ever, we didn’t have to panic. We had $1,000 in our rainy day fund, and we could get by with just one car at a time. We paid for the repairs for my husband’s car, and I carpooled with coworkers until the following month when we could pay for my car. No sweat! If we didn’t have that emergency fund ready to go, we would have jumped straight to swiping credit cards. But we were prepared, and you can be, too. Let me tell you, being able to pull that much cash straight from your account in a time of need is inexplicably sweet. The general rule of thumb for an emergency fund is to save what you would need if you lost your job. How much do you need to cover your expenses, and how long would it take you to find a new job? To be on the safe side, it’s best to save for 6 months of expenses. Look over exactly how much you need to spend each month and save for 6 months’ worth. Or, you can save 6 months’ worth of income so that you still have a little flexibility if you do lose your job. If you’re in debt, it’s generally recommended to still have $1,000 saved up. If anything major happens, this rainy day fund will at least help you get by. If there are some pressing health concerns in your family, you should build this up to whatever amount will make you feel safer. If you do nothing and have $0 saved just because you’re in debt, you will just continue to fall into deeper debt every time something comes up. Don’t do that! I’m sure you’re feeling the pressure to build an emergency fund, and you want to get started right away. It can be an exciting but scary thought if you only have a little bit of money in the bank, but you can still do this! The most important thing you can do to take control of your finances is to track your monthly budget. If you’re not already doing this regularly, you need to get started A.S.A.P. Here’s a simple budget template to get you started. If you are already actively budgeting, just figure out how much money you can safely set aside from each paycheck, and do it until you reach $1,000 (or whatever amount you decided on for your emergency fund). If you’re only able to set aside $300 or less per paycheck or per month, you really need to look for ways to make extra money. You’re busy. You don’t have the time or energy to start up a second job. You barely have the energy to get out of bed in the mornings. There are plenty of ways to supplement your income without consuming all of your precious time. If you can add on a side hustle for just 10 hours a week, you can make $5,000 extra this year. Can you devote 10 hours a week to change your life greatly in one year? Can you devote 20 hours a week to improve your life even more? That’s just four 5-hour shifts per week or two 10-hour shifts. No matter how much money you have in the bank, you must adjust your habits in order to improve your finances. If you are actively budgeting, you should easily be able to assess your spending habits. Where can you make some cuts? Your grocery budget is usually the first place that you can make some serious changes. If the majority of your money is being spent on groceries, you have got to start cutting down A.S.A.P. Are you still paying for cable? If not, how many streaming systems are you using? Are you actually using all of them? Are you spending too much money on having fun? It’s really important to enjoy your life, but are you living above your means or trying to keep up with the Joneses? Learn to say no more often, and ask your friends to do rotating potlucks and game nights. You don’t have to go to bars and restaurants to have a good time. Once you have a good budgeting system set up, you should pay yourself as soon as your paycheck hits your account. Most of us spend more money than we plan to just because it’s in our accounts. If you plan ahead and move money over right away, then the temptation to overspend is greatly reduced. Help yourself out by paying yourself first. Most people think that using cash is archaic these days, but it can make a huge difference in your spending habits. Using cash is a more visual and emotional way to keep track of spending. As you hand over your cash, you see it start to dwindle, and you’re much more aware of what you have left. This is the best way to cut down on spending fast, as long as you can stick to it. Whenever you get paid, go straight to the bank or ATM and take out cash for groceries, gun money, and anything else that does not need to be paid by card. Once the cash is gone, that’s it. No more spending. What better way to tackle your habits than to nip your spending in the bud right away? Spend one entire month without spending any extra money on groceries, clothing, or entertainment. How much money could you save if you didn’t spend money for one month? You can make it up to your friends by hosting a potluck next month! If you follow these tips, you can build up an emergency fund, pay off debt, and build up savings easily. It’s all about being aware of your habits and making adjustments wherever possible. When you’re short on money, you may not think it’s possible to save for a rainy day. It may not be easy, but your future self will thank you later! How do you prioritize creating an emergency fund (aka, saving for a rainy day) with paying off debt or investing toward retirement? I love this practical and actionable advice. Especially the 4 Habits. Thank you! Great post! I just wrote about emergency funds as well. They’re so important. I was shocked by how few people actually have one in place.